In his more than 20 years of private practice, Todd Foster has put his investigative and trial skills to use in defense of a multitude of clients, helping many avoid indictment or criminal charges altogether. 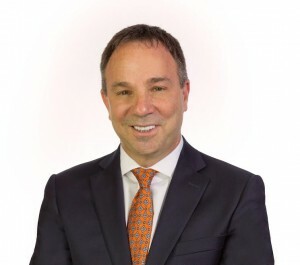 Todd has extensive experience representing clients in cases involving securities fraud, Medicaid fraud, bank fraud, mortgage fraud, wire and mail fraud, tax fraud, drug conspiracy and money laundering. His professional background as an FBI special agent, Assistant United States Attorney, and a nationally recognized criminal defense attorney for the past 20 years, provides distinctive experience employed on behalf of his clients. Most recently, in 2018, Todd was successful having unfounded drug trafficking charges dismissed, against the co-founder of one of Tampa’s largest and most successful successive private companies. This individual went from facing a no bond situation, a minimum mandatory prison sentence and a national press assault on his personal and professional character, to having all charges dropped within a few days. Few cases resolve this quickly, but this client is back with his family and has been able to move on with his life. In another 2018 case, Todd represented a prominent physician being investigated by the U.S. Department of Justice under the False Claims Act for Medicare fraud, for allegedly filing false reimbursement claims for medical services.Todd identified and hired highly qualified experts, and was able to have the investigation dismissed without litigation or need for repayment of any funds. Todd also represented the son of a physician charged with federal drug crimes, who was declared a career criminal offender, and faced a 20 year minimum mandatory prison sentence, with a guideline sentencing range of approximately 24 years imprisonment. Todd was able to resolve the case with a federal sentence of less than 12 years, to run concurrent to an existing state court sentence. This result was obtained without the government seeking any downward sentencing departure for cooperation with law enforcement officials. Todd represented the controversial radio personality Bubba the Love Sponge in the high profile case Nielsen Audio v. Bubba Clem filed by Nielsen in the U.S. District Court. Nielsen’s Complaint alleged fraud, contract and business interference, and conspiracy by Clem for allegedly seeking to improperly influence the Nielsen ratings. Todd, on behalf of Clem, brought a counterclaim against Nielsen, alleging Tortious Interference with Advantageous Business Relationships and a violation of Florida’s Deceptive and Unfair Trade Practices Act. In 2018, after years of contentious litigation, both lawsuits were resolved by a confidential settlement. 2017 yielded favorable results for clients. A federal grand jury failed to indict one client being investigated by the FBI for investment fraud. No charges were filed against a pain clinic which became the subject of a DEA investigation after an allegation of improper prescribing of pain medications. In another federal case, our investigation resulted in several hundred thousand dollars being returned to the client, rather than being forfeited after a lengthy IRS criminal investigation. In a separate matter, a forfeiture lien placed on a valuable waterfront marina was released by federal prosecutors after Todd demonstrated that neither it nor its owner were connected to the alleged out of state fraud. In a state level case, the State Attorney arrested and charged a contractor with securities and investment fraud following his receipt of a large investment for a share of his business. Those charges were contested by Todd and later dismissed by the State. A high profile Florida business man with franchise stores throughout the state, mid divorce, was investigated for abuse after his now ex-spouse noticed bruising and a pediatrician referred the matter to law enforcement. The matter was resolved with no charges being filed. A married prominent Clearwater businessman, with three children, was arrested and charged with improper sexual conduct. After over a year of investigation, contested court hearings and arguments, all charges were dismissed. In 2016, Todd was part of the trial team that won a full acquittal in federal court in Boston, Massachusetts, for a developer criminally accused of defrauding casino mogul Steve Wynn in connection with the Wynn Group’s acquisition of real estate to build their newly licensed Boston mega casino (U.S. v. DeNunzio et.al). Todd also defended developer/entrepreneur Fred Davis Clark, Jr, founder of Cay Clubs International, in federal court in Miami, Florida, in two separate month-long trials. In the first trial, the jury deadlocked on allegations that Clark had orchestrated a $350 million Ponzi scheme, although Clark’s wife was fully acquitted. In the retrial, Clark was acquitted of the $350 million Ponzi scheme conspiracy, but found guilty on lesser unrelated counts. Todd also defended a Gainesville, Florida business man accused in federal courts in Lafayette, Louisiana and separately, in Jacksonville, Florida, of importing massive amounts of controlled analog substances used to manufacture and distribute synthetic marijuana. While most co-defendants received sentences of multiple years in prison, Todd’s client received a non-incarcerate sentence. Todd also won a dismissal in state court for a Texas research scientist criminally accused of money laundering in connection with her receipt of funds from overseas as well as the dismissal of charges for a Tampa area man accused by the Statewide Prosecutor of an investment fraud scheme associated with investments obtained to purchase and rehabilitate depressed properties. In 2015, Todd defended a prominent Pinellas County attorney accused of and jailed for improperly touching a minor. Todd and his team were able to expose credibility issues relevant to the allegation but previously unknown to prosecutors, and the matter was completely dismissed. Todd also successfully defended two prominent Tampa businessmen being investigated by the IRS criminal division for federal tax fraud associated with importation of foreign goods. Across the state, and after a lengthy investigation in the Northern District of Florida (Pensacola), Todd convinced federal prosecutors to decline prosecution of two prominent physicians, who were the subject of a massive raid and protracted investigation into their controlled substance prescribing practices. He was also able to convince Tampa federal prosecutors to abandon their investigation of two defense contractors being investigated by the FBI and VA-OIG for scheming to defraud the U. S. Veteran’s Administration. Prior to 2015, Todd was involved in many other prominent cases, including the defense of John Andrew Weldon, charged in federal court with first degree murder in the “abortion pill” case, and the defense of Melissa Personius, the paralegal implicated in the alleged set up of an attorney in the midst of the high profile civil trial between Tampa shock jocks Todd Schnitt and Bubba Clem. Todd’s legal career began as an assistant state attorney in Jacksonville, Florida in the early 1980′s, after which Todd joined the Federal Bureau of Investigation as a special agent. During his tenure with the FBI, Todd learned the intricacies of complex white-collar and organized crime investigations and gained enormous insight into how the government conducts probes of suspected criminal activity. From 1986 to 1994, after leaving the FBI, Todd worked at the U.S. Attorney’s Office, first in Houston, where he became deputy chief of the organized crime/drug enforcement task force, and later in Tampa, where he quickly rose to become Chief of the Major Crimes Section. As a federal prosecutor, Todd handled some of the largest fraud and racketeering cases in either region, including the simultaneous trial of 21 defendants in a drug and money-laundering RICO case lasting over six months in federal court in San Antonio, Texas. After moving to Tampa, among other trials, Todd tried and convicted three Tampa bankers on conspiracy and bank fraud charges stemming from a check-kiting scheme that caused the Commerce Bank of Tampa to fail. Over his career with the U.S. Department of Justice, Todd supervised and personally prosecuted a variety of cases, including bank fraud, health care fraud, wire and mail fraud, tax fraud, money laundering, drug and conspiracy law violations. After approximately eight years of service as a federal prosecutor, Todd entered private practice with a firm later known as Cohen & Foster. During that time, among the many he helped, Todd defended Steven and Marlene Aisenberg, Arthur Nadel, dubbed the “Mini Madoff” by the New York Times, the ownership group of the largest nightclub in the United States, Club La Vela, (not guilty verdict in the Northern District of Florida, Tallahassee Division), and a St. Petersburg business owner in the Department of Justice`s highly publicized Gabon Sting Case, in which the case was dropped by the government when the jury could not reach a verdict after a month-long trial in federal court in Washington, D.C. Since opening his own practice, the Todd Foster Law Group, in 2012, Todd has continued to represent lawyers, physicians, business executives and other clients in significant state and federal criminal investigations in the Tampa Bay area, and elsewhere.Todd also represents clients in civil matters with fraud or misconduct overtones, involving attempted forfeiture by the government or involving theft of property. He has represented clients in civil matters against private parties as well as against the SEC, IRS, and Department of Justice, where his unique experience and abilities provide an advantage to his clients. Todd also represents plaintiffs and defendants in qui tam (whistleblower) actions. Todd is AV-Rated by Martindale-Hubbell, recognized for more than 10 years in Best Lawyers in America and is considered one of Florida’s Super Lawyers. He served two terms (six years) as a director of the National Association of Criminal Defense lawyers (NACDL), and separately one year as co-chair of NACDL`s white collar crime committee. He has lectured throughout the United States on advocacy and defense of criminal cases and published numerous articles on a diverse range of legal topics, including a dissertation on the mortgage crisis, the defense of corporations in criminal cases and practice under the federal sentencing guidelines. He writes an occasional blog of tips for trial practitioners and for several years, was an adjunct professor of Trial Advocacy at Stetson University College of Law. He has also been a featured speaker for the Hillsborough County Bar Association’s Law Day presentations and for different Bar groups around Florida and the United States.